Sit on a flat bench. Your legs should be spread with the knees bent and the feet securely rested on the floor. Hold barbell or EZ-bar in front of you. 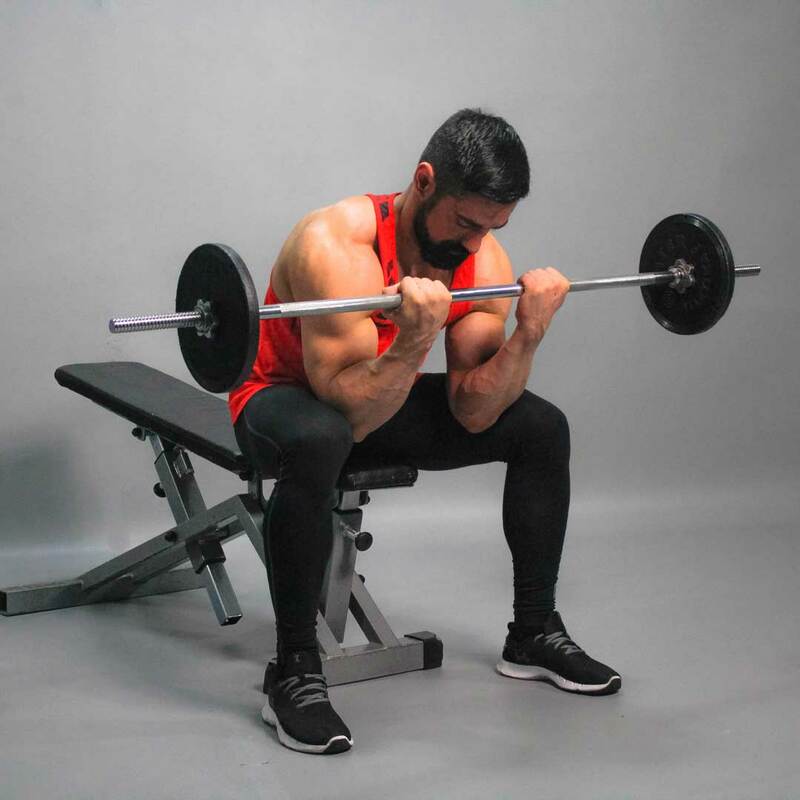 Placing the elbows in between your legs, raise the barbell off the floor using the close grip. Keep your shoulders stationary and curl the biceps as you exhale. Hold the upper arm (from elbow to shoulder) stationary. Only the forearms should move. Continue curling the weight until your biceps are fully contracted. Make a brief pause as you squeeze your muscles. Inhaling, return the barbell back to the starting position very slowly. Don’t swing your arms.